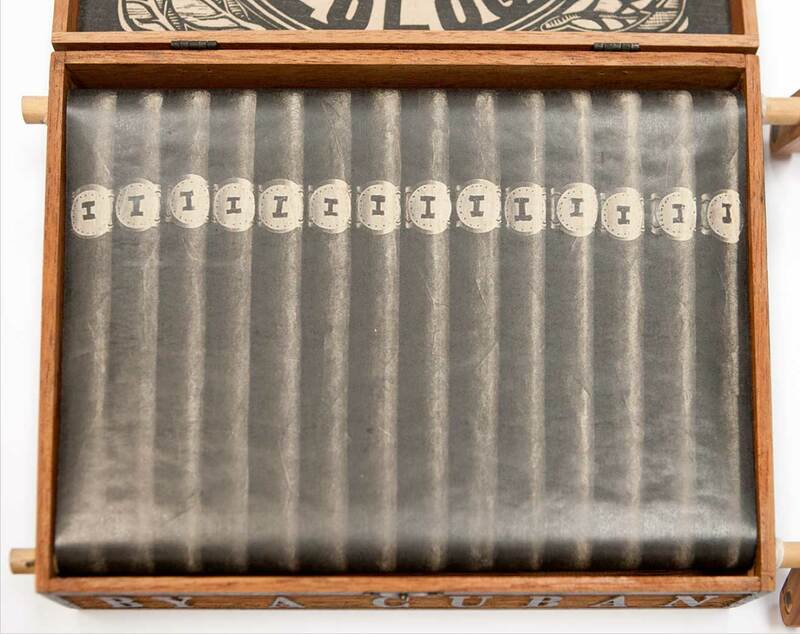 Views of scrolling image below. Abel Barroso, born in 1971 in Pinar del Rio, Cuba, is internationally renowned for combining printmaking and sculpture in biting and humorous commentary on contemporary life in Cuba. His concerns far exceed his native context, as he addresses issues arising between so called First and Third World countries, with a recent emphasis on migration and its social implications and costs. 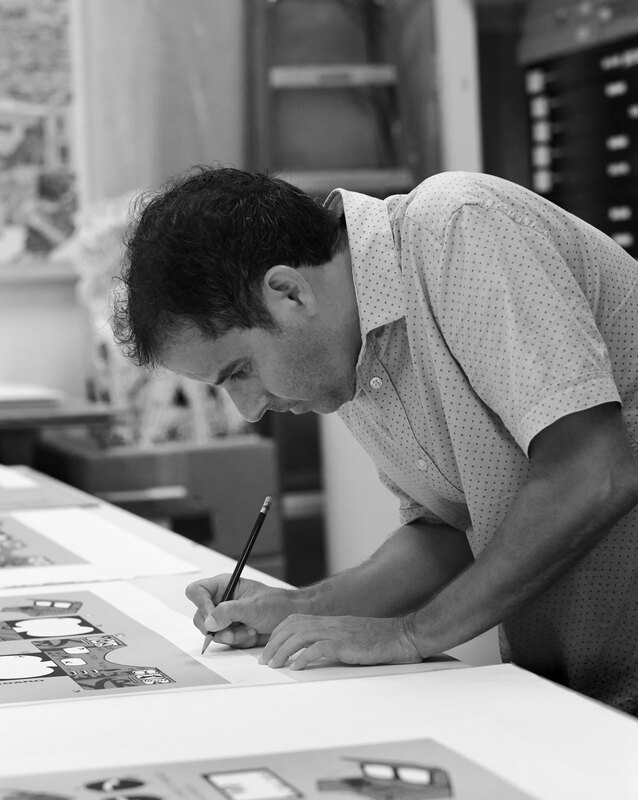 Using meticulous craftsmanship, he creates playful works that often invite the viewer to interact. 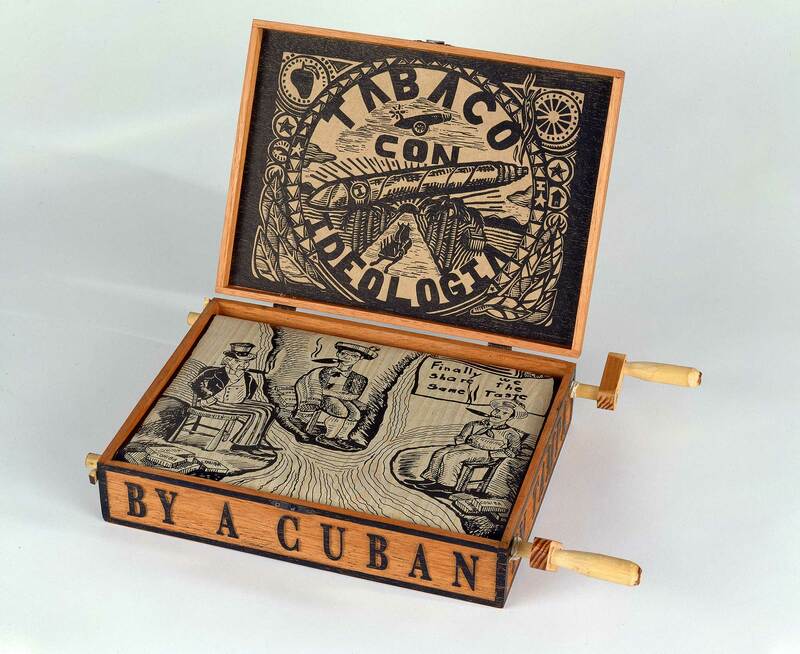 The Third World Internet Cafe, Barroso’s memorable installation at the 7th Havana Biennial in 2000, featured computers fashioned out of wood and paper and hand-cranked by the viewer. 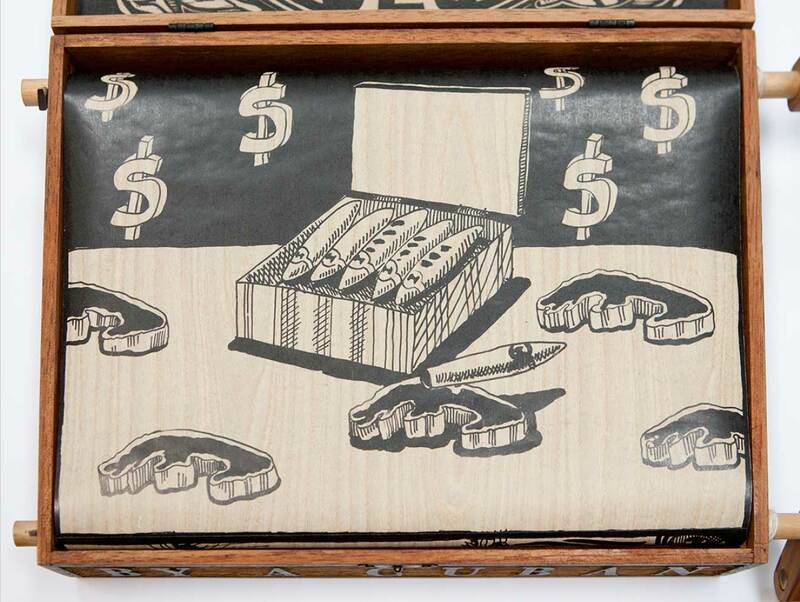 Pinball del emigrante (2012) was featured in the Platform section of the 2017 Armory Show. 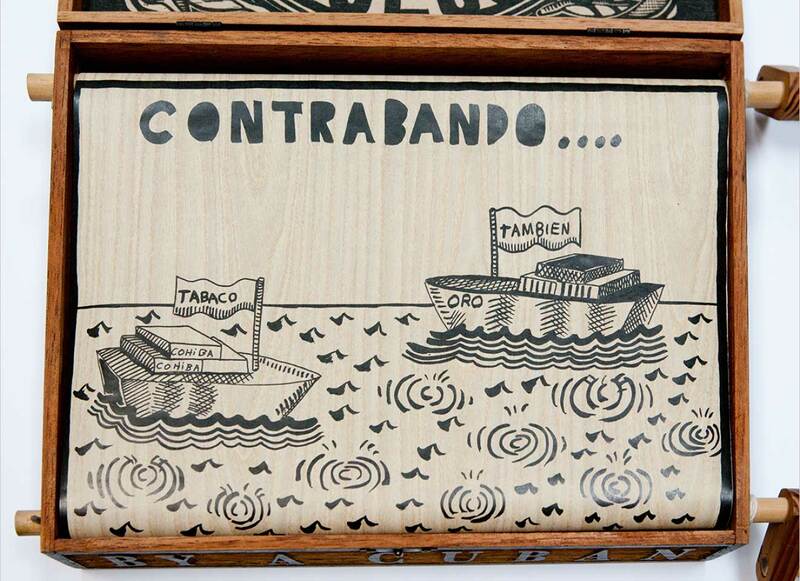 This series of pinball machines, hand fashioned out of wood, highlights the bureaucracy, unpredictability, elements of chance and absurdity that emigrants often face in their efforts to cross borders in search of a better life. 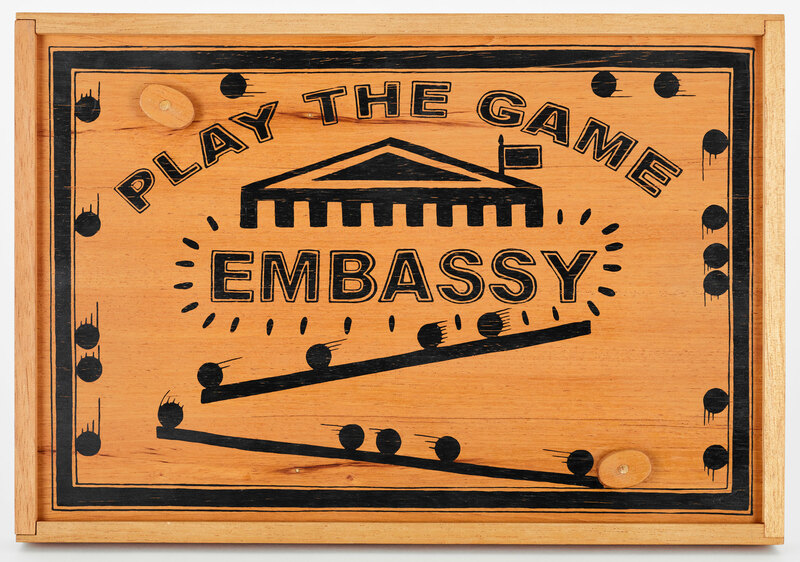 Embassy Game, an interactive tabletop game something like a mini pinball machine, is constructed of cedar, ink, metal balls and a clear acrylic cover. 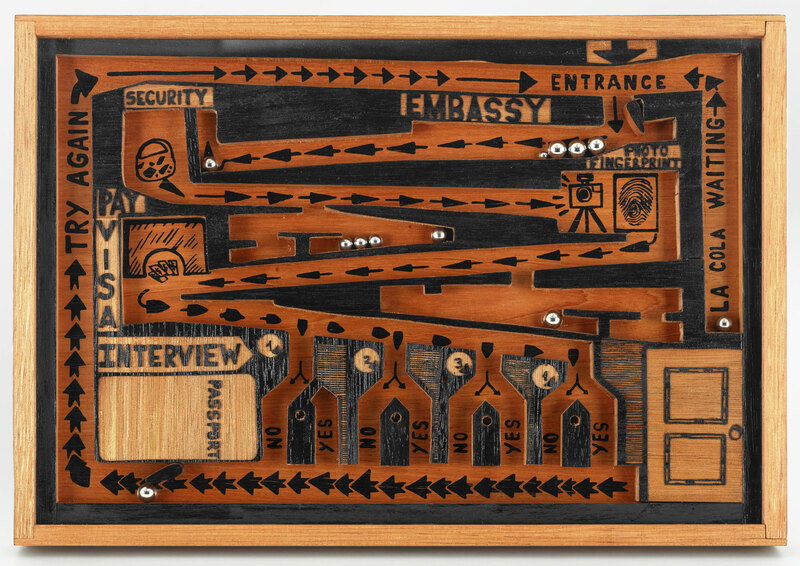 The player, seeking to obtain a visa at an unnamed embassy, must navigate the ball through a maze presenting a series of obstacles: payment, security, fingerprinting, etc. 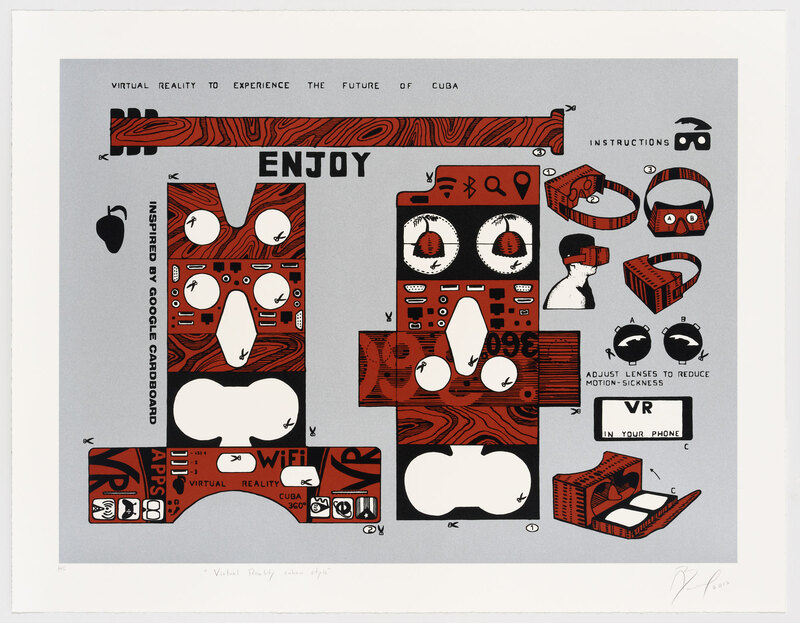 At the end, depending on the gamer’s skill but also on the chance of the ball falling into a favorable slot, the visa may or may not be “won.” This is Barroso’s second sculptural project with Graphicstudio. 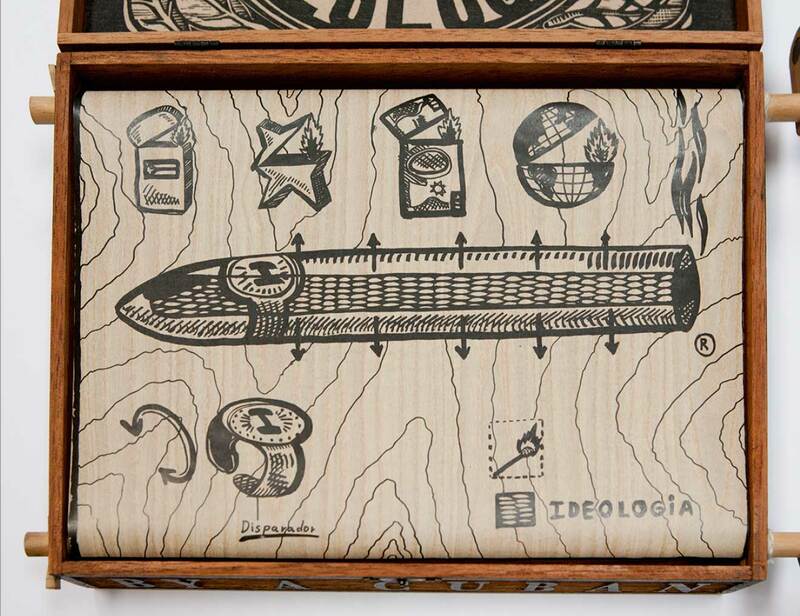 Tabaco con ideologia (Cigars with Ideology) is an authentic cedar cigar box carved by the artist and containing a woodblock print (taken from the carving on the boxtop) and a lithographic scroll inside, hand-cranked by the viewer to reveal a story of Cuba, the United States and cigars. 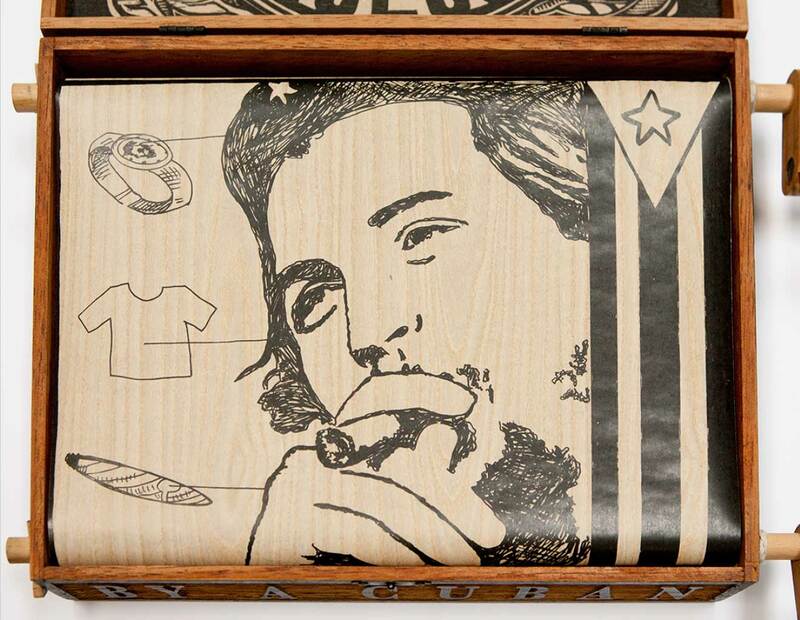 It is "hecho a mano" (handmade) by a Cuban in Tampa – a whimsical and beautifully crafted reminder of the deep historical ties between Tampa and Cuba. 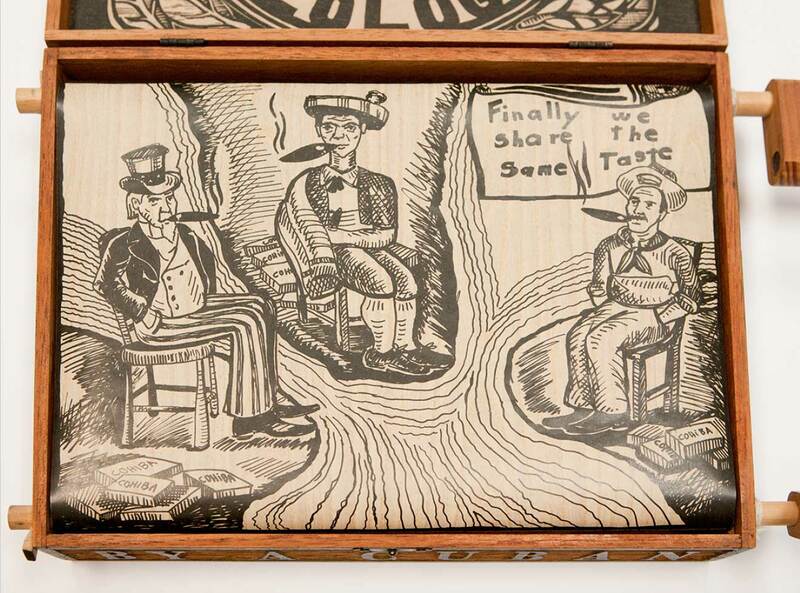 The once-thriving cigar industry in Ybor City owed its success to importing Cuban cigar workers and Cuban tobacco.